In addition to serving as a protective cover, life insurance acts as a flexible money-saving scheme, which empowersyou to accumulate wealth-to buy a new car, get your children married and even retire comfortably. Life insurance also triples up as an ideal tax-saving scheme. 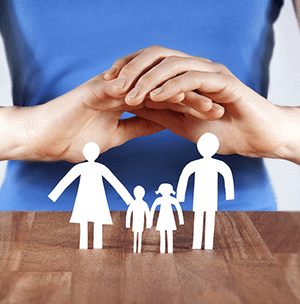 The core benefit of life insurance is that the financial interests of one?s family remain protected from circumstances such as loss of income due to critical illness or death of the policyholder. Simultaneously, insurance products also have a strong inbuilt wealth creation proposition. The customer therefore benefits on two counts and life insurance occupies a unique space in the landscape of investment options available to a customer. Beyond all doubt, your life is invaluable. Yet, there is a certain worth that can be attributed to the financial support you offer your parents, spouse or children. This worth is referred to as Human Life Value (HLV). In the future, if your family does not have the protective blanket of your presence, they will no longer be able to enjoy the benefits of the income you earned. Put simply, Human Life Value is the present value of your future earnings. You should calculate your Human Life Value so you can accordingly invest in insurance plans that provide your family with adequate finances and hence security even in your absence. How do you determine your Human Life Value? As a thumb rule, if you are 30 years of age, you should insure yourself for an amount approximately 8 times your annual income. At 35, your investment should be close to 6 times your income. Of course, the exact amount of your investment should be determined by the number of people who depend on you, your existing investments and your life stage. For example, if you are 30 years of age and have two children and parents to provide for, the amount you invest should be reflective of your requirements. All through your life, several significant events the birth of your child, moving to a larger home, his or her education and wedding, buying a new car, retiring from work will occur at various stages and demand your financial commitment. If you plan in advance for these events, you will quite naturally be prepared when they occur. Life insurance is an effective tool that assists you to plan for your future such that you are financially equipped to meet all your goals. Which important goals should you plan for in advance? 1. Your family's protection: so that your loved ones are secure should an unfortunate event happen to you. Life insurance can guarantee that your family receives a lump sum that safely tides them over any financial crises that might occur in your absence. 2. Child's education: As parent, your primary responsibility is to guarantee your children's future. Our Education Insurance plans ensure your child receives money at key stages of his or her education even in your absence. 3. Savings: Savings plans allow you to steadily save towards a pre-decided goal in a secure manner. These plans provide you with a host of benefits. You can choose the premium, the underlying fund in which you want to invest your money, the ratio between protection and investment as per your requirements. 4. Retirement: Retirement plans help you secure guaranteed income for your retired life. During the Accumulation phase, you systematically save while you are working. When you retire, the Payout stage of the plan begins. You then purchase an annuity, which will serve as a steady stream of income, for the rest of your life. 6. Health: An integral part for financial planning is protecting oneself against any medical emergencies as well. Hence, a very prudent decision would be to choose a combination of plans that look after your finances and offer you a protective health cover to ensure your financial planning is in track despite any major illnesses. Importantly, education insurance plans ensure that in the unfortunate event of the death of a parent, the child's education continues unhampered. Wealth Creation Plans give the customer the dual benefit of protection along with the potentially higher returns of market-linked instruments. The most important benefit of ULIPs is the flexibility they give the customer in choosing the premium amount and also choosing the underlying fund in which this money is to be invested. Wealth creation plans also offer the customer more liquidity options as compared to traditional plans. As such, ULIPs are ideal for customers who want the protection of a life cover to be allied to the returns of market linked instrument ? giving them an unmatched combination of benefits. The sole objective of these plans, as their name indicates, is to serve the protection needs of the customer and by doing so, safeguard one?s family from the financial implications of unfortunate circumstances than one cannot foresee.